Today we are heading to Paris on the train. 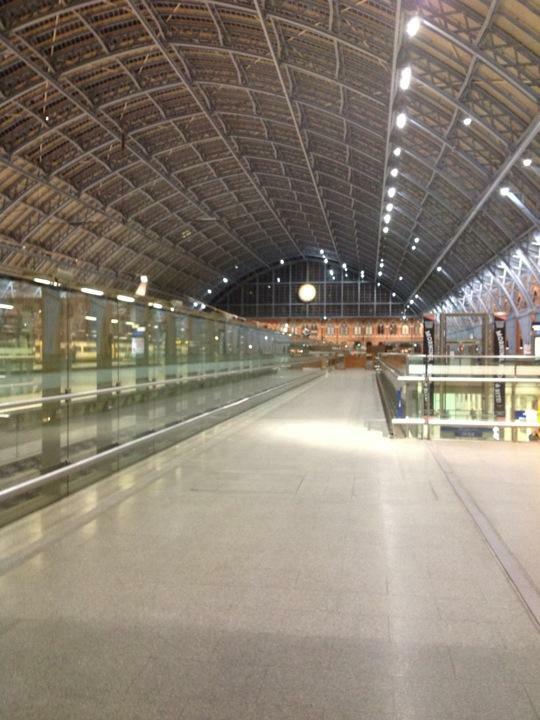 The picture is of the St. Pancras train station in London. We rode backwards all the way to Paris. The countryside looked a lot like San Juan Island. Big open fields dotted with trees. When we popped out of the "Chunnel" the first thing I saw was big wind generators. The landscape looked just like Skagit Valley. Big open fields with crops. There were a lot of corn fields. The other thing I noticed is every town has a church with a very tall steeple in the center of it. Almost all the houses and buildings have red tile roofs.